Programs about the Wild West hit that sweet spot, transporting us in time and space, into different, exciting environments and situations, yet not removing us so far that we're disoriented or without frames of reference. It was easy enough for a teenage boy in the 1930's or 1940's in Maine or Arkansas to pretend he was a cowboy or a sheriff--maybe an outlaw--fifty or sixty years earlier, in America's Southwest. In that spirit, we present the Western Law and Disorder collection, chock full of episodes of the best old radio series on the Wallopin' West: Cisco Kid, Bobby Benson, Fort Laramie, Gunsmoke, and much more! "There's just one way to handle the killers and the spoilers, and that's with the U.S. Marshall and the smell of...GUNSMOKE!" That's how the announcer began each episode of Gunsmoke, one of radio's biggest hits from 1952-1960. 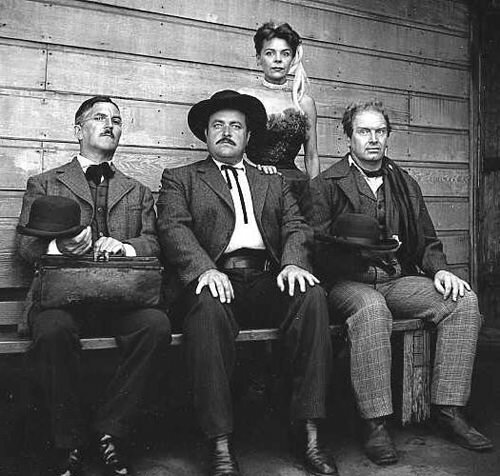 The legendary series chronicled the law enforcement adventures of Marshal Matt Dillon, with supporting characters Chester Wesley Proudfoot, Kitty Russell, and Doc Charles Adams. Gunsmoke became one of the most critically-acclaimed and highly-regarded radio dramas, largely because it took unflinching looks at hard-hitting topics such as lynchings, scalpings, other violent crimes, and even drugs. It was set, as you probably recall, in Dodge City, Kansas, in 1872 (stretching, over the run of the show, to 1885). Of course, the star of the show, Matt Dillon, was played by William Conrad, veteran of such shows as Escape, Nightbeat, and The Man Called X. In 1942, The Mutual Network and Butternut Bread brought to radio Pancho and Cisco, a couple of beloved comic book characters. 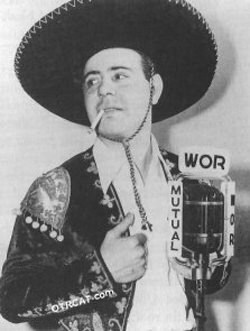 The Cisco Kid had incarnations in movies (going as far back as 1914), as well, and originated in the 1907 O. Henry short story "Caballero's Way." 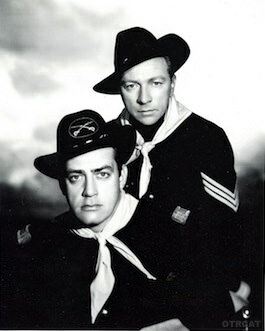 On the radio, the complicated desperado was originally played by Jackson Beck, with Louis Sorin riding along as Pancho. Later, we'd see Jack Mather and Harry Lang in those roles. The two adventurers were humorous and wild, getting into many fantastic scrapes. The refrain "Oh Pancho," "Oh Ceesco" became a catchphrase throughout the nation. Raymond Burr was the auteur of this "adult Western" series, starring in, directing, and producing it. However, aside from Burr, the great minds responsible for the program were mostly the cast and crew from Gunsmoke. While a lot of Westerns involved lone desperadoes, iconic and rebellious loners (perhaps with a sidekick), the team dynamic was showcased here. Fort Laramie spun the stories of the Second Cavalry, which roamed the Northwest, led by Burr's character, Captain Quince. The show has been appreciated and lauded for its psychological complexity and smart, literary writing. This program, presented here in the form in which it was resurrected in 1949, was not adult-oriented nor known for psychological complexity. It was a children's program with youthful verve. 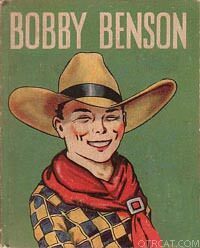 The B-Bar-B Riders were kids living on a ranch, led by Billy Benson, who was played by Billy Halop. Incidentally, a young Don Knotts had a part on the show, playing a crotchety old man. Give 'er a listen! Sharpen your spurs, dust off your saddle, down a bowl of chili, and get ready to ride with this collection of only the best Western Law and Order series. Be the first to comment on "Western Law and DISorder"